While recently exploring Las Vegas I met up with a few locals known as “Expedia.ca Vegas Insiders” who took me around to explore the city like locals do. 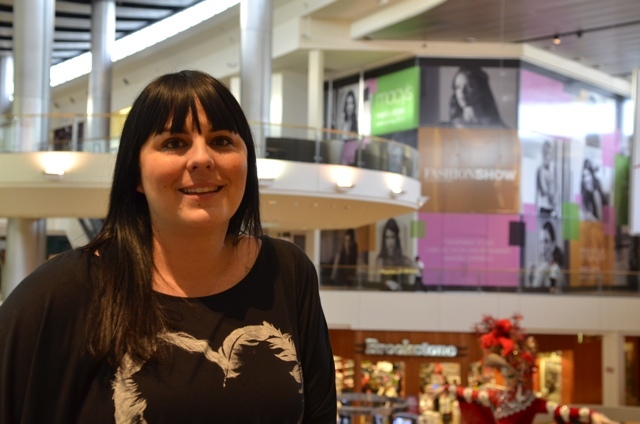 The first Expedi.ca Vegas Insider that I met up with was Jenna Doughton a Fashion Stylist and Personal Shopper who has lived in Las Vegas for the past ten years. I was a bit nervous meeting up with her at first because 1) I don’t really have any fashion sense and 2) I had a very small budget for buying clothes. However I quickly found out I had no need to worry. Jenna works with clients of all budget sizes from being able to spend over $100,000 a year on clothes or small budgets like a few hundred dollars and I liked everything she picked out for me. We shopped at the Forum Shops at Caesars Palace – the highest grossing mall in the world per square foot. A popular mall for both tourists and celebrities if you are looking for a high end shop then this is the place to stop. Next we were off to the Fashion Show Mall, one of the largest enclosed malls in the world. It gets its name because this mall is host to three fashion shows a week, free for anyone to watch. This is also where I found a few items that fit more into my budget and Jenna taught me some neat tips for shopping in Las Vegas, like if you shop at Macy’s tell them you are from out of town and you get a 15% discount! Thats pretty sweet. 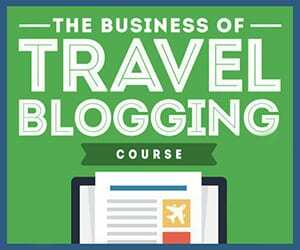 The second Expedia.ca Las Vegas Insider I met was James Reza a writer, entrepreneur and Vegas Expert who was born and raised in Las Vegas. While with James he told me a lot about the history of the city and we drove around checking out some of his favourite spots which you can also see highlighted in this Expedia.ca Video. I couldn’t wait to get myself to the Pinball Hall of Fame a non profit museum with over 200 Pinball machines dating from the 1950s to the 1990s with all excess revenue going to charity. James Reza and myself outside of the Pinball Hall of Fame in Las Vegas. James also pointed out to me a few great bars located in Downtown Las Vegas that lots of locals go to and not many tourist know about. Located just past the Fremont Street Experience on the east part of Fremont street, there is one block (before the El Cortez Hotel and Casino) with lots of bars and restaurants on either side like “Insert Coins” which James described as basically an arcade for adults where you can drink, there was “Don’t Tell Mama” a Karoke bar where stars of the strip often appear to sing for fun and my favorite was a bar called “The Commonwealth” said to be “A cocktail bar for uncommonly good times.” It also just happens to be one of the only bars in the city with a roof top patio, great for people watching and getting some fresh air. Another place that was recommended for me to visit was the MOB Museum. 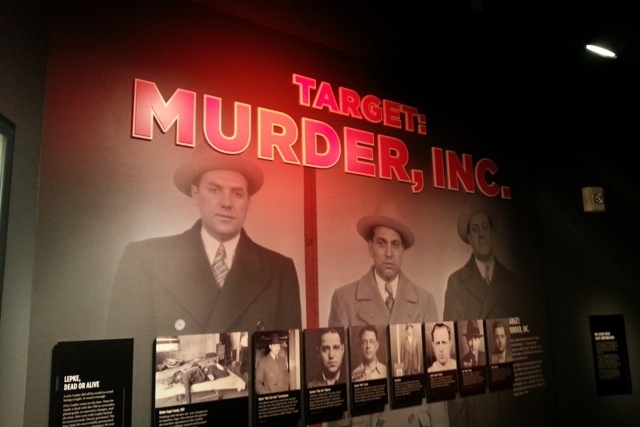 Opened in February 2012, the MOB Museum’s Mission Statement reads: “To advance the public understanding of organized crime’s history and impact on American society.” Not only do they showcase the MOBs history in Las Vegas but in all of the US and they do a very good job of it through interactive exhibits, videos, interviews and a lot more. The building that holds the museum use to be the old Post Office and also a court house where some famous MOB cases were actually put on trial in the 50s and they have restored that courtroom for visitors to now view. You can also find artifacts related to the MOB with everything from a barber shop chair from a famous murder scene, the actual wall from the Saint Valentines Day Massacre and even clothes of Tony Soprano’s from the popular TV show “The Sopranos”. The MOB Museum in Las Vegas. One of the last tips that the experts gave me for when visiting Las Vegas? Get out of the city. Drive to Zion National Park or take a Pink Jeep Tour to Red Rock Canyon. Get out there and see and enjoy the natural landscape. What did I decide to do? I opted for the more touristy option and I took a Scenic Flight and Helicopter tour to and over the Grand Canyon. Touristy, yes. But an AMAZING once in a life time experience that is definitely worth it. Las Vegas is more than just partying and gambling and hopefully my newest video can prove that to you. Stay tuned for a more in depth video of my Grand Canyon tour coming soon! While in Las Vegas I stayed at the Planet Hollywood Hotel. This trip was sponsored by Expedia.ca however all opinions and views are my own. Cailin- You did an awesome job on this! It was great meeting you and shopping around with you! I just wish we had had more time and how fun would it have been to have the budget of some of the local fashionistas??? Thanks for all of the recommendations in Australia. Just got back and it was amazing! Can’t wait to see where you travel next but make sure to make Vegas one of your stops again soon! Cailin- You did an awesome job on this! It was great meeting you and shopping around with you! I just wish we had had more time and how fun would it have been to have the budget ofm some of the local fashionistas??? Thanks for all of the recommendations in Australia. Just got back and it was amazing! Can’t wait to see where you travel next but make sure to make Vegas one of your stops again soon! I would love for Jenna to take me shopping! I love it!!! My favorite part is Canadian Cailin looking so comfortable in a TANK top in December — and James looking freezing in long sleeves. So our cold doesn’t impress you haha. I haven’t even been to Commonwealth yet! And I loved seeing you and Jenna! Wait — are those SHORTS?! You are insane!! The Commonwealth was pretty sweet, you should definitely visit!